Q: Hi! i was just wondering if you could make this dress in 'Dusty Pink' ? A: Dear Maggie, We just sent the color samples to your email. Please check them and add the request of color # in your order comment at the last step of checkout. Thank you for contacting us! Q: Hi, could you please send me photos of this dress in different colors? Also, is it possible to make this with a 3/4 sleeve? A: Dear Leona, Sorry we don't have the pictures of the dress in different colors.Yes we can make the dress with 3/4 sleeve.Please include your request in your order comment. You will be able to leave a comment at the last step checking out before making payment. Thank you for contacting us. Q: Is the bust part transparent or does it have a lining? If I order another colour, say pink, will the bust and skirt be two different shades like in this silver/ blue number? Thanks! A: Dear, The bust part is transparent.We can add the lining if you don't want it transparent.We can make the top and skirt in two different colors.Please include your request in your order comment. You will be able to leave a comment at the last step checking out before making payment. Thank you for contacting us. Q: Could I have samples of the color options emailed to me? A: Dear Mariel, We just sent the color chart to your email.Please check it and add the request of color # in your order comment at the last step of checkout.Thank you for contacting us! Q: Hi there, is it possible to make the sleeves long? A: Dear Abby, Yes we can make the dress with long sleeves with extra US $10.Please add your request of this in your order comment at the last step of checkout.We will send the invoice for the extra fee after we receive your order.Thank you for contacting us! Q: How to I view colors? What is the color of the gown pictured? A: Dear Kelly, We have sent the color chart to your email.Please check it and add the request of color # in your order comment at the last step of checkout.Thank you for contacting us! A: Dear, The color 'As in picture' is silver color.Thank you for contacting us! Q: Can you make this dress have a fuller skirt? Q: is the top see through? 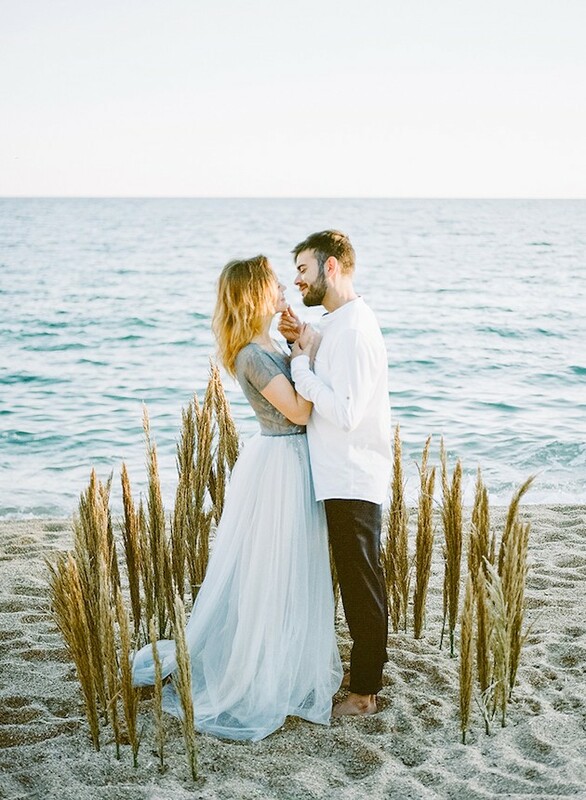 A: Dear Aussiebride, The top of the dress is not see through.Thank you for contacting us! Q: What is the color shown in the picture? A: Dear Lana, The color 'as in picture' of the dress is silver color.The dress we make is just like the one in picture.Thank you for your interest. Q: hello! me again. i want to order in the color shown asap, but as usual, my measurements are way off from the sizes. bust (size 8), waist (size 6), hips (size 4), and hollow to floor i need 60" (size 10). usually my dress size has to be an 8 bc my bust never fits a 6, unless stretchy material. any recommendations? do you make custom? or would you at least add an inch in length, to a size 6 or 8? A: Dear noelle, For the best fit,please choose the custom size option to provide your measurements to us.We will make the dress as your measurements.If you have any further questions,please feel free to contact us.Thank you for contacting us! 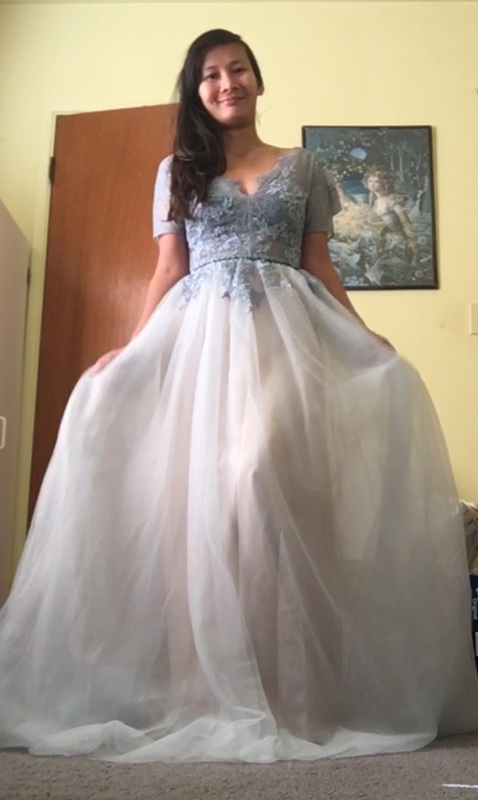 Please see the photos of the actual dress!